Iloilo City, officially the City of Iloilo (Hiligaynon: Dakbanwa/Syudad sang Iloilo; Karay-a: Syudad kang/ka Iloilo; Filipino: Lungsod ng Iloilo; Spanish: Ciudad de Iloílo) is a highly urbanized city on southeastern tip of Panay island in the Philippines. It is the capital city of the province of Iloilo where it is geographically situated but, in terms of government and administration, it is politically independent. In addition, it is the center of the Iloilo-Guimaras Metropolitan Area, as well as the regional center and primate city of the Western Visayas region. In the 2015 census, Iloilo City had a population of 447,992 inhabitants, with a 1.02% population annual growth rate. For the metropolitan area, the total population is 946,146 inhabitants. According to ancient legends, some of the inhabitants of Panay island were originally from other islands, including Borneo, Sulawesi, and Sumatra. Panay might be named after the kingdom of Pannai which is located in Sumatra, since i and y are interchangeable in Spanish. Proof for this is corroborated by linguistic evidence. Local tradition refers to the name as a shortening of the Ati (aboriginal negrito inhabitants of the Islanad) word, "Ananipay". Probably, it was what the Atis had come to use for the name given by the Malay settlers to their newly found home. Some historians also affirm the Sumatran origin of the people of Panay, observing that the Visayans derived their writing system from those of Toba, Borneo, Celebes, Ancient Java and from the Edicts of the ancient Indian emperor Ashoka. "In the middle of Sumatra, there is a spacious and extensive lake (presumably Lake Toba near Pannai), around the shore of which many and several ethnic groups settle [and] from where, in the past, there was a forced exodus of inhabitants [constraining them] to sail to and to settle in various islands. One of these ethnic groups was subjugated there and they were unable to flee for various circumstances. Someone speaking Pampango (which I heard before) found out that they were not speaking Pampango among themselves, but they (the Malays of Sumatra) donned the old Pampango ethnic costume. And when he addressed an old man among them, the [old man] replied: You are descendants of the lost, that in times past left this place to settle in other lands, and nothing was heard about them again." So, Colin concluded that the Tagalogs and Pampangos, and other political or ethnic groups (Visayans and other related civilized groups), by symbols used in expressing language, by color of dress and costume, one can believe that these came from parts of Borneo and Sumatra. The phrase "subjugated ethnic groups" gives hint to the encroaching of the Majapahit Empire into the falling Srivijaya Empire, or perhaps to the Islamization of Sumatra, forcing the inhabitants to look for safer territories where they could preserve their freedom and culture. This resonates with the local Panay tradition regarding the arrival of ten Datus from Borneo. The kingdom of Pannai was a militant-nation allied under the Srivijaya Mandala that defended the conflict-ridden Strait of Malacca. The Visayan lore says that in the 13th century, ten Bornean datus came to the island which they named Panay, Pani or Panae (after the fallen kingdom of Pannai or a shortening of the Ati word for the island, Ananipay). This, after they dissented from the unjust rule of a certain Rajah Makatunao and exiled themselves. Upon arriving on the island of Panay, they gave a golden hat (salakot) and a long pearl necklace called Manangyad in the Hiligaynon language (meaning a long necklace that touches or "nagasangyad" the ground) as a peace offering and treaty-items to the Ati natives of the island. It was said that it was also a way of the ten Bornean datus to barter the flat lands of Panay from the Ati. One datu, named Paiburong, was given the territory of Irong-Irong (cf. also Kedatuan of Madja-as). The Kedatuan of Madja-as centered in Panay island eventually grew a powerful and strong naval presence that it rivaled the nearby states of the Rajahnate of Cebu, The Kingdom of Maynila and the Sultanate of Sulu when it came to wealth and prestige. In Panay, according to Friar Gaspar de San Agustín, O.S.A., "...in the ancient times, there was a trading center and a court of the most illustrious nobility in the whole island." By the 14th century, under Datu Padojinog, this state had grown so powerful militarily and economically, their naval power regularly threatened Chinese Imperial shipping. This was so much so, that the Chuan-chou gazeeter specifically reported that the Pisheya/Bisaya (another term for people from Irong-Irong) consistently made devastating raids against the Empire's commerce. In 1566, as the Spanish conquest of the Philippines was underway and moving north toward Manila, the Spaniards launched several expeditions from Mexico and under Miguel López de Legazpi, came to Panay and established a settlement in Ogtong (Oton). Unlike the Indianized Cebuanos who were neutral to the Spaniards or the partially islamized Tagalogs of Manila who were more hostile, the people of Madja-as welcomed the Iberians as allies since at that time period, Madya-as was locked in a war against the invading Muslims, especially with the Sultanate of Brunei and its vassal states, the Sultanate of Sulu and the Kingdom of Maynila which, according to Spanish Governor-General Franciso de Sande, are their blood-cousins. The people then fervently accepted Christianity as they supplied the bulk of the mercenaries used in the conquest of partially islamized Manila, whose rulers were related to the Sultan of Brunei. When the Spaniards came to the Visayas, they noted that the pirates among them were more terrifying than the Mohammedans of Jolo and Mindanao. All year long, after the harvest, they would sail toward faraway places to hunt slaves and make surprise attacks on settlements. Those who did not live along the rivers, would make their raids in the months of February, March, April, October and November, going deeper into the interior parts of the islands, sacking the villages. These raiding expeditions are called panggubat (noun) or manggubat (gerund verb form). In 1581, Ronquillo moved the colonial center from Ogtong to approximately 12 kilometres (7.5 mi) eastward due to recurrent raids by Moro pirates and Dutch and English privateers. He renamed this new colonial seat La Villa de Arévalo in honor of his hometown in Ávila, Spain. Ronquillo also settled groups of Spanish and Mexican soldiers to become the first colonists of Arevalo as he built his mansion in the area. At the early days of the Spanish period; the first Manila Galleons were originally constructed at the port of Oton to the west of Iloilo. Since there was no precedent in Spain for the immensity of a Manila-Galleon, it could be argued that the proto-type Manila galleons were of Visayan design since the Visayans were already constructing huge multi-masted 4 to 5 decked caracoas in their wars against the other kingdoms and thus, the technical know-how to construct the first Manila galleons was an amelioration of Visayan shipbuilding with Spanish shipbuilding. Oton built the first Manila galleons before operations were eventually transferred to the Bicol and Cavite shipyards. In the year 1600, a large Muslim attack on Iloilo City was launched, with a force of 70 ships and 4,000 warriors, raiding and attacking several Visayan islands in order to abduct slaves. However, the attack was repulsed by a force of 1,000 Visayan warriors and 70 Mexican arquebusiers under the command of the Don Juan Garcia de Sierra (the Spanish alcalde mayor), who died in battle. In 1635, in an effort to check the Islamic slave-raiding into the Visayas islands, the Christian Visayans from Iloilo together with Spanish officers and their Latino soldiers from Peru soon founded Zamboanga City and settled in it, using it as fortress to prevent Moro attacks in the Visayas, and as a staging ground for Christian campaigns into Muslim Mindanao. In 1700, due to ever-increasing attacks especially from the Dutch and the Moros, the Spaniards again moved their seat of power some 25 kilometres (16 miles) eastward to the village of Irong-Irong, which had natural and strategic defense against raids. At the mouth of the river that snakes through Panay, the Spaniards built Fort San Pedro to better guard against the raids which were now the only threat to their hold on the islands. 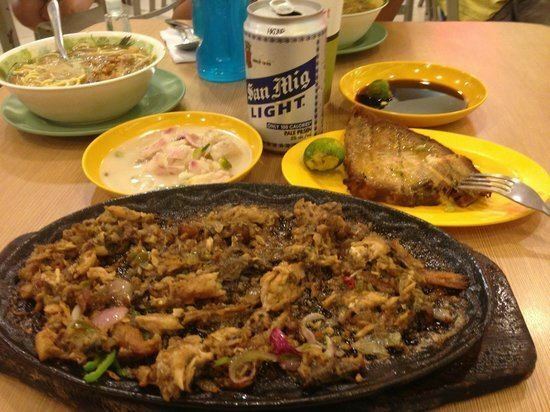 Irong-Irong or Ilong-Ilong was shortened to Iloilo. Later, the natural port area quickly became the capital of the province. After its establishment under Spanish rule, Iloilo received Chinese migrants from the west which worked among the city's industries (the Lopez, Jalandoni, Lim and Sy families) and Latinos from across the Pacific (Viceroyalty of New Spain) to man its military fortifications (the Araneta, De Rama and Arroyo families). In the late 18th century, the development of large-scale weaving industry started the movement of Iloilo's surge in trade and economy in the Visayas. Sometimes referred to as the "Textile Capital of the Philippines", the products were exported to Manila and other foreign places. Sinamay, piña, and jusi are examples of the products produced by the looms of Iloilo. Because of the rise of the textile industry, there was also a rise of the upper middle class. However, with the introduction of cheap textile from the UK and the emergence of the sugar economy, the industry waned in the mid-19th century. The waning textile industry was replaced, however, by the opening of Iloilo's port to the world market in 1855. Because of this, Iloilo's industry and agriculture was put on direct access to foreign markets. But what triggered the economic boom of Iloilo in the 19th century was the development of the sugar industry in Iloilo and its neighboring island of Negros. Sugar during the 19th century was of high demand. Nicholas Loney, the British vice-consul in Iloilo, developed the industry by giving loans, constructing warehouses in the port, and introducing new technologies in sugar farming. The rich families of Iloilo developed large areas of Negros, which were later called haciendas, because of sugar's high demand in the world market. Because of the increase in commercial activity, infrastructures, recreational facilities, educational institutions, banks, foreign consulates, commercial firms and much more sprouted in Iloilo. 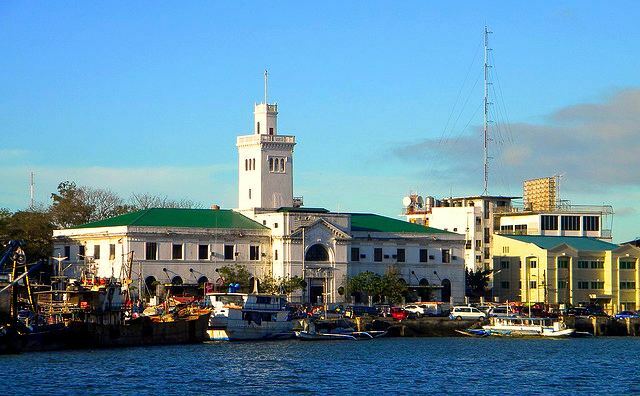 On 5 October 1889, due to the economic development that was happening in Iloilo making it the most important port in the Philippine Islands next to Manila, Iloilo was raised from the status of a town to a city through a Royal Decree, and in 1890, the city government was established. The immediate reaction of Ilonggo elite to the outbreak of the 1896 rebellion in Manila was that of surprise. They immediately responded with protestations of outrage and affirmed their loyalty to Spain. The Ilonggos themselves were united in their support of Spain during the first two years of the revolutionary period. Shortly after the Cry of Balintawak, the Jaro Ayuntamiento (another colonial city adjacent to Iloilo City), composed of native Ilonggos, convened a special session on September 1, 1896, where the Manila uprising was condemned as an unpatriotic act "that finds no echo in the noble hearts of Jareños, who do not forget the immense gratitude they owe Spain who, from nothing, raised us to a life of civilization and progress." "Those dark betrayals, the mere notion of which embarrasses good and loyal Filipinos, have produced a unanimous sentiment of protest and indignation among the Ilongo people, who engraves its most honorable blazon in the sacred and inextinguishable love that it professes to the glorious Spanish nationality that it legitimately feels proud of. The Ilongos are Spaniards, Your Excellency, and Spaniards will they be until death, because they do not want to live and die in another way than under the shadow of the august Castillan standard, to which they owe being dignified and free men now." The foreign community in the city also asked its representatives to visit local authorities and to elevate their protests against the revolt. And so did the Filipino parish priests of Jaro, Molo, Mandurriao, and Arévalo. Towns in Iloilo province also condemned the Manila uprising, and those of the neighboring provinces of Cápiz and Antique, as well as the island of Negros, followed suit. This emboldened the Ilonggo elite to initiate the organization of loyal volunteers in the region to be sent to quell what was seen as a mostly-Tagalog rebellion. The move was backed by the Spanish and foreign communities of Iloilo. A battalion of five hundred native volunteers was raised, which was divided into two companies, and placed under the cadre of mostly Spanish officers. They arrived in Manila on 16 January 1897. They were one of the largest native contingent to serve the government forces against Katipunan troops led by Emilio Aguinaldo, in the battlegrounds of Cavite province. The Ilonggo volunteers established for themselves a distinguished combat record in Cavite. Once the Pact of Biak-na-Bato was signed, they returned to Iloilo. In April 1898 their homecoming, just like their departure, was met with much fanfare. This galvanized the Ilonggos into more public outpourings and manifestations of loyalty to Spain. Due to the loyalty of the Ilonggos, the city of Iloilo was honored with the perpetual title of Muy Noble. The Royal Decree granting this title was signed on 1 March 1898 by Queen Regent Maria Cristina. Over time, this title earned for Iloilo City the reputation of it being "The Queen's Favored City in the South" or simply "Queen's City in the South", being the second Spanish port of importance next to Manila, and being located South of the Archipelago's Capital. On a side note, at the beginning of the American period, Cebu became the second port of importance (Iloilo having been partly ravaged by bombardment, fire, and riot during the American occupation of Iloilo City). Yet, it was also during this period of Philippine history that Iloilo was more popularly known as the "Queen City of the South". This points to the fact that the moniker was associated to the Queen Regent's favor and to the honorary title granted to Iloilo City as Muy Noble Ciudad, due to the loyalty of its citizens to the Spanish Crown. Besides, the Ilonggos, who were among the first allies of the Spanish Crown in the Archipelago, contributed in the Spanish conquest of Luzon. It was in Arevalo (later, a district of Iloilo City), Panay that the conquest of Luzon was planned and launched, on 8 May 1570, with the help of seafaring inhabitants of the Island. After the defeat of the Spanish forces at the Battle of Manila Bay during the Spanish–American War, the Capital of the Spanish East Indies was transferred to Iloilo, with General Diego de los Rios as the new Governor General residing in the City. A truce was declared between the American and the Spanish forces pending the negotiations of the joint commission of both warring Countries in Paris, France for the terms of peace. Meanwhile, General Aguinaldo sent several small vessels to the Island of Panay with Tagalog revolutionaries in order to stir up rebellion in the Visayas. He was anxious to secure all territories he could before the conditions for peace should be settled in Paris. At stake was the hope that actual possession of territories would influence the final decision. By October 1898, fresh Tagalog expeditions were sent to Panay and coerced or persuaded its people to rise in greater force than ever, until finally, General de los Rios had to fall back to the last Capital of the Spanish government. By the middle of November, after having secured the support of the inhabitants of the towns outside the Capital through the leadership of General Martín Delgado, practically the whole Island, except for the City Proper, Jaro, La Paz, and Molo, was under the revolutionary dominion. By December, General de los Rios held only the City and port of Iloilo. On 25 December 1898 (fifteen days after the signing of the Treaty of Paris on 10 December), the Spanish government surrendered to the Ilonggo revolutionaries at Plaza Alfonso XIII (Plaza Libertad today). In the name of the Governor-General, Diego de los Ríos, Military Provincial Governor Ricardo Monet, together with Lt. Col. Agustín Solís, formally handed over Plaza Alfonso XIII to Delgado, who represented Emilio Aguinaldo, president of the newly established Philippine Republic, in Iloilo. Delgado was named provincial governor afterwards. The revolutionary forces, at once, took possession of Iloilo. But the newly found freedom of the Ilonggos would be short-lived. The American forces arrived in Iloilo on 27 December 1898, under the command of General Marcus P. Miller, and were aftwerwards reinforced up to a total stength of about 3,000 troops and two ships, to take possession of the territory in accordance with the Treaty of Paris. After the Spanish forces left the City, the revolutionary forces made a formal entry amidst music and banners. A government was constituted. On 17 January 1899, an election placed Raymundo Melliza, of a notable family from Molo that was respected by both the natives and foreigners, to office as Mayor. However, the influence of the new regime established by the government of Aguinaldo did not have effective extent far beyond a day's march from the Capital. At the threshold of the City and Province of Iloilo, the Americans were waiting for signal from Manila. Two more ships supplemented the U.S. forces, even though no clashes with the revolutionaries took place after the Spaniards abandoned the City. Miller expressed demands for the surrender of Iloilo but no gun was fired. The Americans were waiting for the right moment, for it was not until 6 February 1899 that the American Senate ratified the Treaty of Paris. On 4 February, hostilities broke out between Aguinaldo's forces and the Americans in Luzon. Emissaries brought Aguinaldo's message to the Ilonggos to hold the City against the enemies. The demand for surrender was renewed by Miller, on 7 February, upon receipt of orders from Manila, with the threat to bombard Iloilo by the 12th day of the month if no surrender would take place. As the Americans were preparing to attack the City, the 1,650 native troops under General Martin Delgado became uncontrollable and insolent to their officers. They were promised a monthly remuneration of Php4 and food, but only received Php1. Threats of mutiny, sacking and burning of the City, forced the Generals to collect money from the towns of Panay in order to appease the Visayan contingents. The same thing happened to the Tagalog component of the troops. The danger of riots in the City and the attitude of native soldiers fomented fear among the inhabitants. Chinese merchants closed their stores leaving only a small hole for transacting business. Many prominent families, who were in constant fear for their safety, went over to Negros Island in small schooners that flew the Philippine flag, without having any trouble with the American ships on standby in the waters between the two islands. On 10 February, an Extraordinary Session at the City Hall discussed plans for the impending bombardment of the City. There was a proposal to burn Iloilo, but the Mayor protested to this barbarous plan. A majority in the meeting was in favor of burning, which was seen as an invitation to despoil, lay waste and slay. The instigators who had no property interests in Iloilo, but who were so jealous of those who have, found a ready response of the Tagalog mercenaries, who had no local attachment to the City. The Americans fired the first shell on 11 February 1899. Foreign eyewitnesses observed that the bombardment damaged quite a few buildings. In the meantime, from early morning, the withdrawing native soldiers, followed by a riffraff mob, were observed to have rushed hither and thither, throwing firebrands on to petroleum-washed houses. The Chinese had to barracade themselves to no use since fire burned their bazaars. Europeans and the Spanish half-castes had to defend themselves with every means possible, including bribing the rioters with a few pesos. Two British warships in the roadstead sent boats ashore and landed a party of marines, who made a gallant effort to save foreign properties, as the United Kingdom had a strong business interest in Iloilo and a Consulate. By 1 o'clock of the same day, the Americans made a landing and restored order. Sentinels were stationed to protect what still remained of the townspeople's goods. In due course, indemnity claims were forwarded to the American military authorities, but were all rejected. "The fire left behind only the name Iloilo, as the main part of the city was reduced to ashes by the retreating Ilongo troops. That event was the cause of the ruin of such a beautiful city, second only to Manila, where, if there was not a surplus of money, neither the people's welfare was wanting, and life was prosperous and peaceful. If the brain who planted such an unqualified act had measured the consequences... maybe he would never have dared doing it..."
By February 1899, the Americans had started mobilizing to colonize anew the City and Province. They continued to meet resistance from the Ilonggos, which lasted up to 1901. In which case, Iloilo was also among the last cities to fall to Americans. Many leaders surrendered to the new regime and were reintegrated to the Ilonggo society without conditions. Among them was General Martin Delgado, who accepted the position of Governor of the Province of Iloilo from 1901 to 1904, under the American flag. He was, at that time, the highest paid Governor in the whole Archipelago, receiving $3,000 gold annually. Local government was established in some towns of Iloilo by 11 April 1901. Jose Maria Gay was appointed Alcalde, Matias Hibiernas was teniente alcalde of Iloilo;Jose Yusay was President of Molo; Pablo Borromeo was President of Arevalo; Ruperto Montinola was the lone representative of Jaro, but was not its President; Madurriao's President was Emigdio Mesa. Emilio Magbanua was appointed its police delegate. It was observed by Juan de Leon, judge of the Court of First Instance that there existed a rivalry between the pueblos of Iloilo, Jaro and Molo, which are adjacent to and are only half an hour travel by carriage from each other. 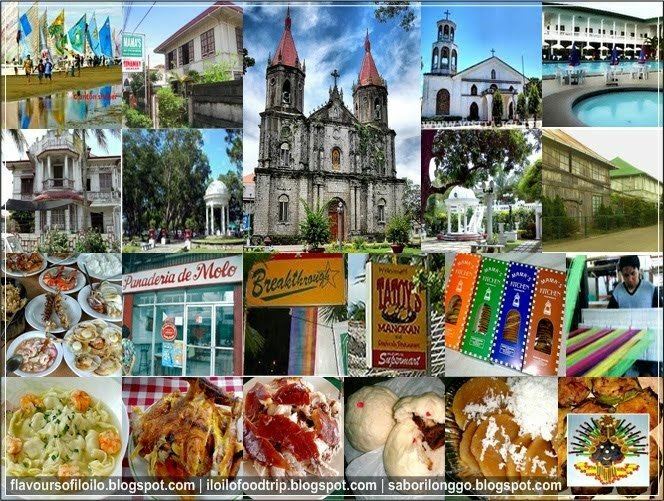 Besides, Molo and Jaro are residential pueblos, and Iloilo was the business town for both. It was also recommended that Arevalo be joined to Molo, and La Paz to Jaro. The aggregate population of these territories was at 100,000 in 1901. Presidents and other representatives were also appointed for the towns of Alimodian, Miag-ao, Janiuay, Mina, Oton, Passi, Guimbal, Pototan, San Joaquin, Santa Barbara, San Miguel, Pavia, Sara, Nagaba (currently known as Nueva Valencia), San Enrique, Lambunao, Cordoba (a barangay of Tigbauan today), Cabatuan, Leganes, Tigbauan, Banate, Buena Vista, Navalas, Tubungan, Duenas, Mandurriao, Maasin, Lucena, and Leon. Other formerly existing ones, like Anilao and Barotac Viejo, were fused with other towns. As the aftermath of the revolution and the Filipino-American war, it was clear to all the most sober-minded and best educated Ilonggos that Aguinaldo's government was a failure in Panay at least. Visayans of position, with property interests at stake, were convinced that absolute independence without any control or protection from some established political power was premature and doomed to disaster. The Visayan grudge against the Tagalog predominance was also a factor that contributed to the failure of Aguinaldo's government. But the aggravating factor was the dictatorial air and brutal conduct of the Tagalog troops, which destroyed the theory of fraternal unity. Ananias Diocno, the Tagalog contingents' leader known for severity in his Capiz and Iloilo campaigns, left a lasting non-commendable remembrance in the history of Panay. In 1900, the Americans reverted the city's status into a township. Later, they initiated the construction of the Baluarte and Arroyo streets, extension of Delgado Street to Valeria and from Fuentes and Jalandoni streets up to the present-day U.P. in the Visayas. Quezon and Mabini streets were asphalted while their sidewalks were also constructed. More significant was the installation of streetlights all throughout the city in 1921. In 1926, the widening of important streets, like General Luna, J.M. Basa and Ledesma, was started. In 1927, an improved street, Valeria-Ledesma (formerly known as Weyler), was inaugurated (David 1937). During the American colonial regime that time in the Philippine islands, the Americans brought with them their faith, the Protestantism. A comity agreement was made in 1898 that the Philippine islands would be divided into different Protestant denominations for missionary works to avoid future conflicts; Iloilo is one of the very first places in the country where the early Protestant sects came. Western Visayas and Negros, in accordance with the comity agreement, was given to the religious jurisdictions of the Baptists, although other Protestant sects were allowed to do missions in the same area. The Protestant missionaries initiated large-scale enterprises in the predominantly Catholic province. The Presbyterians established the first Protestant and American hospital in the country, the Iloilo Mission Hospital. Supposedly it came also that Iloilo is the original location for foundation of Silliman University, the first Protestant and American university in the country and in Asia. However, due to the Catholic opposition where the school will stand, the founder, David Hibbard, prospected some new locations. He went to Cebu and later had a side trip in Dumaguete City, where he had a decision to establish and where Silliman University is presently located. Baptists, on the other hand, established institutions like Central Philippine University in 1905, as the first Baptist-founded and second American university in Asia; the Jaro Evangelical Church, the first Baptist church in the Philippines; and the Convention of Philippine Baptist Churches, the oldest Baptist organizational body in the Philippines. Later, the Seventh-day Adventists established the Jaro Adventist Center, the first organized Seventh-day Adventist church in the islands. Central Philippine University was established through a grant given by the American industrialist and oil magnate John D. Rockefeller. Central Philippine University pioneered the work-study program in the country which was later patterned and followed by other institutions and has also established the first and oldest student governing body in South East Asia modeled on the American civil government, the Central Philippine University Republic in 1906 after the Jaro Industrial School, CPU's forerunner, was established. On other hand, Protestant Presbyterians who established the Iloilo Mission Hospital established the Union Mission Hospital Training School for Nurses which later became Central Philippine University University College of Nursing and Allied Health Sciences, the first nursing school in the Philippines. Up to the present, the various evangelical Protestant denominations (composing around 2.8% of the Filipinos) and their educational institutions also serve Catholic students in Iloilo, who make up 83% of the population. Seizure of friar lands and parishes and the above-mentioned Protestant activities gave the American and Filipino public an impression of anti-Catholic stance of the U.S. occupation of the Islands during the first years of the American rule. The Taft Commission, the sole legislative body of the American government for the Philippines (then known as the Philippine Islands under the sovereign control of the United States) while still under the Philippine–American War, were attacked by Catholic press in New York for anti-Catholic bigotry. Soon, pressures from influential Catholics in the United States, and also in Ireland caused President Theodore Roosevelt to appoint a Catholic in the Commission to defend Catholic interest in the Philippines. Influential Catholics in Manila followed suit. Worries about Catholic vote in national elections moved the civil government to send the Commission to the Vatican to negotiate exploring workable to solutions to the Catholic question in the newly acquired territory. Before coming to Rome, the head of the Commission personally visited the Cardinal Archbishop of Baltimore. Pace by pace, acceptable solutions were employed. In 1902, the President of the United States of America commissioned two American Augustian friars to pioneer a movement to send American priests out to the Philippines to replace the Spanish friars, who diminished in number (1,013 in 1898 to 246 in 1903) due to normal loss of personnel due to death or retirement, death caused by native hostilities, or voluntary return to Spain. In Iloilo, American Catholics countered the Protestant American missions and the American Catholic bishops, like Frederick Rooker, Dennis Joseph Dougherty, and James McCloskey, were named for the Roman Catholic See of Jaro in Iloilo City. These bishops sustained the educational achievements of the Spanish friars by bringing in American and European Catholic missionaries, among whom were the Sisters of Charity of St. Paul, and Augustinian missionary priests. The Augustinians, who were the first to bring the Christian faith in the Philippines as well as in Panay island, and who built the centuries-old heritage churches in this island, established the Collegio de San Agustín in 1904. During the American regime, their confreres from the United States developed evermore this institution, which later became the first university in Iloilo. The American Catholic Bishops also maintained and upgraded the St. Vincent Ferrer Seminary (established in 1869 as the Collegio-Seminario de San Vicente Ferrer), which was the first institution of higher learning in Western Visayas. The Paulinian Sisters took charge of St. Paul Hospital, originally owned by the Catholic Diocese of Jaro. Bishop Dennis Joseph Dougherty, who later became Cardinal Archbishop of Philadelphia, gave the medical facilities to the Sisters. To commemorate the bishop's generosity, the hospital named a more recent section of the facilities after him: the CADMA (Cardinal Dougherty Medical Annex). To meet the growing need to provide nurses for their hospital, the Paulinians also opened a nursing school. Today, this institution has also become a university (St. Paul University Iloilo), and has ever since supplied high quality healthcare professionals known worldwide for their skills and dedication to work. During the American colonial occupation, one of the platforms by the colonial government was first to establish and implement a public education system in the islands and the Thomasites were deployed and commissioned by the American government to teach in the public schools that will be established. The Thomasites tolerated religious freedom, which is one of the foundations of the United States constitution and legacy to the Philippines, while commissioned and under their tutelage to teach in public schools during the colonial period. Public schools that were established when the Thomasites came to Iloilo are Iloilo Normal School, the present day West Visayas State University (formally established in 1924 but dates back its founding in 1902 as part of the Philippine Normal School System in the Philippines); the Iloilo National High School, the first public provincial high school in the islands; and Baluarte Elementary School, the first public elementary school in the islands. Iloilo regained cityhood status on July 16, 1937, through Commonwealth Act 158. Incorporated as part of Iloilo City were the city of Jaro and the towns of Molo, Mandurriao, La Paz, and Villa de Arévalo and inaugurated on August 15, 1937. Sugar's demand was declining, labor unrests in the port area scared the investors away, and the opening of the sub-port of Pulupandan in Negros Occidental moved the sugar importation closer to the sugar farms. By 1942, the Japanese invaded Panay and the economy moved into a standstill. During World War II, Iloilo was controlled by several Japanese battalions. Japan's ultimate goal was to entrench itself deeply into the Philippines so that at the close of the war they could occupy it just as the Spanish and the Americans had years before. During the Occupation, the General Headquarters and Military Camp Base of the Philippine Commonwealth Army and Philippine Constabulary was established and station's active in Iloilo City from January 3, 1942 to June 30, 1946 are operates and engage to fought against the Imperial Japanese military and local collaborators. However, when Filipino and American forces liberated Iloilo from Japanese military occupation on March 25, 1945, the remnants of these battalions were held in Jaro Plaza as a makeshift detention facility. The war heavily damaged the infrastructure in Iloilo. However, the continuing conflict between the labor unions in the port area, declining sugar economy, and the deteriorating peace and order situation in the countryside, the exodus of Ilonggos to other cities, provinces/regions and islands that offered better opportunities and business. People were moving to other cities such as Bacolod, Cebu, and Manila that led to Iloilo's decline in economic importance in central Philippines. Rural agricultural areas continued to help the local economy. For years, because of this exodus of investors, Iloilo's economy progressed in a moderate pace. Change slowly came. 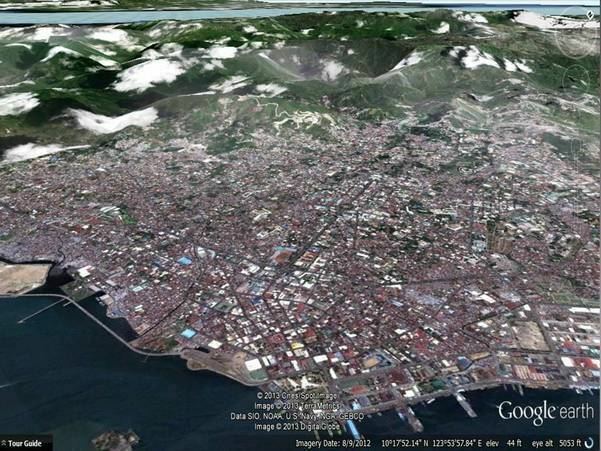 First came the construction of the fishing port and international seaport. One by one commercial business firms invested in Iloilo, spurring on the city to its eventual recovery. Iloilo became a highly urbanized city in 1979 by the virtue of Batas Pambansa Blg. 51. Corollary to this new status, its residents effectively lost their eligibility to vote for provincial officials. After the opening of the new commercial and business center in Mandurriao district and with the construction of a national highway that traverses this area, big business like the SM Supermalls, SM Prime Holdings, Megaworld Corporation, Gaisano Capital, and Ayala Corporation poured in huge investments in the City, giving impetus and catalyst toward future progress. 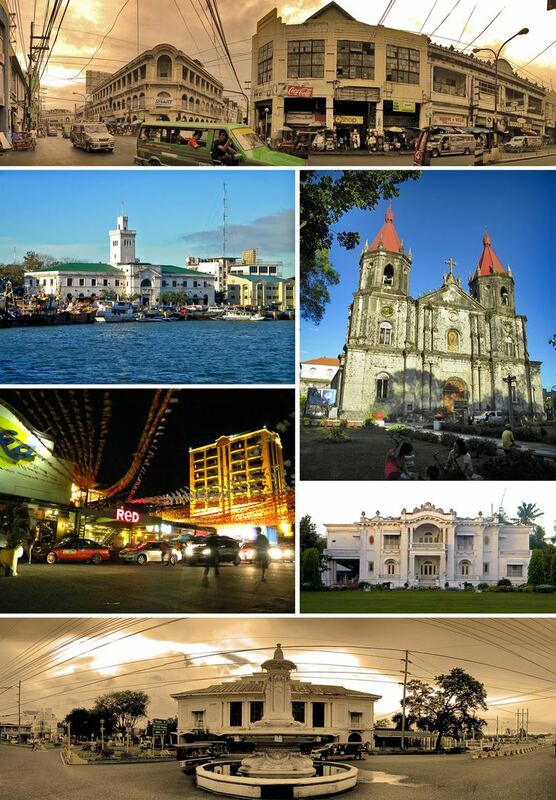 Iloilo City is the center of the only officially recognized Metropolitan Area in Western Visayas. The metropolitan area is composed of the City of Iloilo, the municipalities of Leganes, Pavia, Sta. Barbara, Cabatuan, San Miguel, Oton, the Island Province of Guimaras and its five municipalities, namely - Sibunag, San Lorenzo, Nueva Valencia, Buenavista and Jordan. The city of Iloilo has only one legislative district. Iloilo City is subdivided into 180 barangays. Iloilo City has a tropical wet and dry climate as according to the Köppen climate classification system, with pronounced wet season from June throughout November; then dry season from December to May. Hiligaynon is spoken in Western Visayas and Negros Island Region, and is part of the Visayan language family of the Malayo-Polynesian languages. It is heavily influenced by Spanish. Hiligaynon is mainly concentrated in the provinces of Iloilo, Guimaras and Negros Occidental. The language is referred to as "Ilonggo" (Spanish: Ilongo/Ylongo) in Iloilo and Negros Occidental. 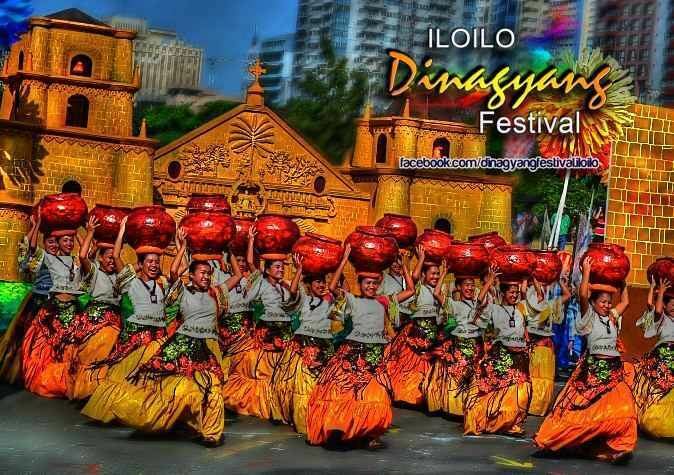 More precisely, "Ilonggo" is the ethno-linguistic group referring to the inhabitants of Iloilo and the culture associated with native Hiligaynon speakers. The distinction between the terms, Ilonggo and Hiligaynon, is unclear however, as most of the townspeople are claiming that Hiligaynon is the language being spoken and Ilonggo is a term used to refer a person living in Iloilo or its associated culture and ethnicity. Iloilo City is a hub for trade, commerce, finance, technology, medical tourism, hospitality, real estate, tourism, education, and industry in the Western Visayas region. Major industries in the city include management of port facilities, telecommunications infrastructure and utilities, banking and finance, retail trading, real estate, tourism and business process outsourcing. The local government has provided incentives to businesses in certain investment areas, such as income tax holidays and free issuance of permits and licenses. It is the home of Mang Inasal headquartered in Iloilo. There were 8,407 business establishments as of December 2003 in Iloilo City, of which 1,182 are new. Total capital investments for new business establishments is P365,506,020.92. However, both new and renewed capital investments for the year 2003 amounted to ₱13.02 billion. Of the employed person by type of industry from primary occupation 82% belongs to service sector, 14% belongs industry sector and only 4% are in agriculture (as of April 2003 FIES, NSO). Average annual family income (at current prices) is P 283,604 or a percentage increase of 32.3 between 1994 and 1997 while Average Annual Family Expenditures is P 226,887 or a 25.6% increase (2000 FIES). Average per Capita Income is P 65,136 and Average Per Capita Expenditures is P 51,557 (FIES 2000). Average Inflation Rate is 3.2, the Average Purchasing Power of the Peso is 0.62 and the Average Consumer Price Index (CPI) is 162.6 in 2003. (Source: NSO, Prices Section). The BPO industry has spurred employment. BPO locators are attracted to Iloilo because of the literacy rate and number of graduates per year. The Department of Science and Technology-Information and Communications Technology Office (DOST-ICTO) and Business Processing Association of the Philippines (BPAP), has named Iloilo City as one of the next wave cities. This means that Iloilo city is capable to host information technology-business process outsourcing (IT-BPO) companies on the basis of availability of talent and relevant infrastructure. The city is now officially a "City of Excellence" which means that it levels the city of Manila and Cebu in terms of economic progress. It has a number of IT/BPO centers among them is the Iloilo Ayala Techno Hub, Amigo Plaza Mall, SM City Iloilo estates and Plazuela de Iloilo which houses BPO companies. Another IT/BPO centers is in Iloilo International Business Park at the Sta. Barbara Heights and Iloilo Business Park, both by Megaworld Corporation and the Iloilo City Center by the Gaisano Group. It has business process outsourcing (BPO) office buildings undergoing construction. Iloilo City's urban planning and architecture reflect the plans of the Spanish and the American colonial administrations. Since Iloilo City is a conglomeration of towns, the districts have their own plazas which are surrounded by establishments of political and ecclesiastical influence, such as churches and old administrative halls. In 1930, Juan M. Arellano of the Bureau of Public Works designed the schematic plan for Iloilo City, which was influenced by Ebenezer Howard's "Garden City." Iloilo City is served mostly by passenger jeepneys, white metered taxis and tricycles within the city limits. The passad jeepneys of Iloilo are known for their sleek and sedan-like design. These often serve fixed routes and mostly travel on the city's major and secondary roads. Jeepneys are also the main mode of transportation to Metropolitan Iloilo areas. Tricycles serve most secondary roads and city communities. Large passad jeepneys and buses link Iloilo City to the rest of the province and the island of Panay. Buses bound for Metro Manila, Mindoro, Batangas, Cebu, Negros and Mindanao are also available via the Roll-on, Roll-off ferry services of the Strong Republic Nautical Highway. Mini-shuttle vans also serve major points in Panay Island. Iloilo City has five Major Integrated Transport Terminals located at the city's perimeter areas: the Iloilo North ITS (Integrated Transport System) Terminal/Iloilo North Ceres Bus Terminal (NCBT) located at Tagbak, Jaro District is the transport hub serving passengers to/from north western municipalities of Iloilo, City of Passi and northwestern Panay (Capiz and Aklan including Boracay Island); Iloilo Central Line ITS (Integrated Transport System) Terminal/Pavia Peoples Terminal (PPT) in Ungka, Jaro District is the transport terminal for passengers to/from central municipalities of Iloilo; Aleonsan ITS (Integrated Transport System) Terminal at Hibao - and in Mandurriao for those to/from the upland municipalities of San Miguel, Alimodian and Leon (including Bucari, Leon); Iloilo South ITS (Integrated Transport System) Terminal/Iloilo South Ceres Bus Terminal (SCBT) located at Mohon in Villa de Arevalo for going to/from the southern municipalities of Iloilo and to/from the province of Antique; and Iloilo North Coast ITS (Integrated Transport System) Terminal at Ticud, Lapaz District for those going to/from the northern coastal municipalities of Iloilo (including Sicogon Island and Isla de Gigante all part of Carles, Iloilo). From 1907 to the 1980s, Panay Railways operated a railroad from Roxas City to the port area of Muelle Loney along the Iloilo River in Iloilo City. Iloilo International Airport is the 4th busiest in the Philippines with international flight to Singapore and Hong Kong and vice versa serving passengers from Western Visayas Region, Palawan and Mindanao. For domestic flights to/from Metro Manila, Caticlan, Cebu, Cuyo, Puerto Princesa, Sipalay, General Santos City, Cagayan de Oro and Davao City, Iloilo International Airport is the airport serving the general area of Metropolitan Iloilo - Guimaras, the province of Antique and the rest of Iloilo Province. It is located 19 kilometres (12 miles) northwest of Iloilo City on a 188 hectares (460 acres) site in the town of Cabatuan. It opened to commercial traffic on June 14, 2007, replacing the Old Iloilo Airport at the Mandurriao District. The new airport inherited its IATA and ICAO airport codes. It is linked to the city through Sen. Benigno S. Aquino Jr. Avenue and served by metered taxis, airport shuttle vans and multicabs. Recently, the national government has approved the ₱791 million budget for the expansion of the Iloilo International Airport. The Iloilo Domestic Port Complex (IDPC), located near Fort San Pedro and formerly the Old Foreign Pier, serves inter-island passenger and cargo ferries which serves the routes Manila, Palawan, Cebu, Zamboanga and Cagayan de Oro. It is located near the mouth of Iloilo River at the vicinity of the Western Visayas Regional Government Center at the City Proper District. It is also the port of call for several domestic shipping companies such as SuperFerry or 2GO Travel, Negros Navigation, Sulpicio Lines, Cokaliong Shipping, Trans-Asia Shipping Lines and others. The colloquial name "Fort San Pedro" refers to the old Spanish fortress beside it that was destroyed during World War II and soon to be restored by the Department of Tourism (DOT) under TIEZA. Muelle Loney or Iloilo River Wharf is the original port of the city. Opened to international trade in 1855, it has served as the trans-shipment docks for muscovado sugar in the late 19th to the first half of the 20th century. 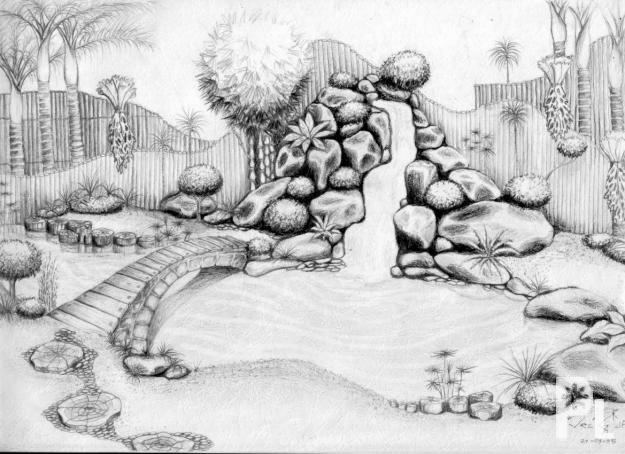 It has undergone several times of expansion and improvement. Today, it serves smaller cargo ships, roll-on roll-off ferries bound for Guimaras and Negros Island and fast ferries that ply Iloilo-Bacolod route regularly. In September 2014, the newly opened Iloilo River Port Complex (IRPC) at Lapuz District started its operation to replace the Iloilo River Wharf. Iloilo-Guimaras Jetty Ports for Guimaras outrigger ferries are located at Calle Ortiz and Parola. The terminal at Calle Ortiz serve Jordan, Guimaras-bound passenger and cargo outrigger boats, while Parola terminal serve Buenavista, Guimaras-bound ferries. Soon the Iloilo Jetty Port Complex (IJPC) at the Western Visayas Regional Government Center will replace the two jetty ports, the complex is complete with a modern passenger terminal building, a pumpboat fuel refilling station, a 1.3 hectares (3.2 acres) children's park with a marine museum and a CityMall complex by Double Drangon Properties. This project of the City Government was achieved through public-private partnership. Roll-on/roll-off ferry service, known in as RO-RO, is available from to Iloilo City. There is also a ro-ro service to Cebu via Negros. It is ranked third in terms of ship calls at 11,853, fourth in cargo throughout at 491,719 million metric tons and fourth in passenger traffic at 2.4 million annually. The Iloilo Fish Port Complex (IFPC) is the only and the major center of fish trading and marine products processing in all of Visayas. The port complex is the traditional landing site of bagnetters and other fishing bancas in Iloilo City and nearby towns. This strategic location has made the port the major fish/marine source of major supermarkets, hotels and restaurants and local public markets in the country and abroad. Its services includes, unloading and marketing facilities for fish and other fishery/aquatic products both for local and foreign markets; services and facilities for harbor operations such drydocking/repair shop, fuel, oil, water and ice conveyance and for transshipping products; processing, refrigeration and other post-harvest services including product pre-processing, freezing through contact freezer, cold storages and top-grade facilities for the processing of marine products such as prawn, abalone, cuttlefish, lobster, nylon shell, octopus, slippertail, squid, whiting and bangus; and raw land for the establishment of fishery-related factories. The complex is situated in a 21 hectare reclamation at southern part of the City Proper District. Recently, the fish port complex was granted ₱570 million for the expansion of its facilities which will include the construction of a new fish processing plant, establishment of a fish canning facility and the construction of an alternative energy source. The Iloilo Convention Center is a state-of-the-art convention center located in the Iloilo Business Park by Megaworld Corporation in Mandurriao. Its construction was completed in September 2015 in time for the APEC 2015. It is a two-storey structure with a total floor area of 11,832 square meters. The main hall on the ground floor has a 3,700-seat capacity and 500-seat function rooms on the second floor. A rooftop of 1,500 sqm is available for outdoor functions. The convention center was designed by Ilonggo architect William Coscolluela. The design was inspired by Iloilo's Dinagyang and Paraw Regatta festivals. Iloilo has various facilities also for international and local musical, band, and solo performances or concerts and the famous and largest concert theater in the Western Visayas region is the Rose Memorial Auditorium or Rose on Central Philippine University's main campus. The auditorium is a 2-storey structure and can occupy or has a maximum capacity of 4,000+ spectators. Rose Memorial along with Central Philippine University has been and is the only theater/auditorium and university in the Western Visayas region that has been designated (one of the first batch of nine) Cultural Center of the Philippines Regional Art Centers (or Kaisa sa Sining Regional Art Centers) in 2014 in the whole Philippines. Iloilo Sports Complex, also known as Iloilo Sports Center, is the major sports venue in Western Visayas. The center complete with a 10,000 capacity stadium, a rubberized track oval, a football field, a soccer field, an Olympic size swimming pool, two volleyball courts, two basketball courts, two open tennis courts, four badminton courts and an indoor gymnasium. A 72 MW Diesel Fuel Power Plant operated by Panay Power Corporation and a 164 MW coal power plant operated by Panay Energy Development Corporation (PEDC) provides power generation for Iloilo City, both situated in Brgy. Ingore in Lapaz district. PEDC plans for a third coal-fired power generation facility. The newest generator will be on top of the existing 164-MWs for an additional 150-megawatt to be generated that will help produce a total of 404 MW supply for Panay, Guimaras and Negros islands. Power distribution is facilitated by Panay Electric Company (PECO). PECO is the sole power distributor in Iloilo City and it is one of the oldest private electricity distribution utilities in the country which has been operating since 1923. The city and the province of Iloilo is served by mostly tabloid-type English newspapers such as Panay News, The Daily Guardian, News Express, and Sunstar Iloilo. Hublas of Panay News is the sole Hiligaynon tabloid newspaper. Iloilo has a glossy full color lifestyle magazine named Cream Magazine published monthly since 1989. Iloilo City is the main headquarters of Bombo Radyo Philippines, which owns Bombo Radio AM stations and Star FM stations across the country. Being the urban center of the province, most of the AM and FM radio stations serve the province of Iloilo and Guimaras, mostly local stations of national radio stations. Television arrived in the city in 1964 when DYAF-TV began airing, serving Iloilo City and the neighboring towns in the province. In 1998, with the frequency transfer to Channel 10, ABS-CBN separated its news team from the Bacolod news team and launched TV Patrol Iloilo (today TV Patrol Panay). In 1967, TV-6 Iloilo (a TV5 affiliate) stated its initial broadcast in Jaro, Iloilo City. By 1974 it changed its affiliation to GMA Network as their local television station. The channel started upgrading its facilities and relocated their TV tower to Guimaras and began serving Iloilo City, Panay and Guimaras, as well as some parts of Negros Occidental in 1998. Studio 23 Iloilo (UHF 38) (changed its name to ABS-CBN Sports and Action on January 18, 2014) initiated its broadcast in 1999. The government television station, PTV (VHF 2) in 1992 and IBC (VHF 12) in 1977 are also broadcasting local programs for Iloilo. In the first quarter of 2010, QTV-28 Iloilo (UHF 28) (changed its name to GMA News TV on February 28, 2011) and UNTV-42 (UHF 42) commenced operations in the city. In second quarter of 2012, TV5 Iloilo (UHF 36) and AksyonTV Iloilo (UHF 46) commenced operation, serving the southern part of Western Visayas that includes southern Panay, Iloilo City and Guimaras, also formerly, Negros Occidental, and at the same time started its News5 team coverage. Being the center of education in Western Visayas Region, the city and the province of Iloilo has a total of ten major universities. Iloilo City alone hosts 8 large universities such as the Central Philippine University (CPU), University of San Agustin (USA), University of the Philippines Visayas (UPV), West Visayas State University (WVSU), Iloilo Science and Technology University (formerly WVCST) (ISAT-U), University of Iloilo (UI), St. Paul University Iloilo (SPUI), and John B. Lacson Foundation Maritime University (JBLFMU). Iloilo is also home to numerous private colleges and schools such as the Iloilo Doctors College (IDC), one PAREF-affiliated high school, the Westbridge School for Boys, St. Therese - MTC colleges (ST-MTCC), Western Institute of Technology (WIT), De Paul College (DPC), ABE International College of Business and Economics, Computer College of the Visayas, Dominican College of Iloilo, Great Saviour College, AMA Computer College - Iloilo Campus, STI College - Iloilo, Interface Computer College, IMAPF - School of Midwifery, Philippine College of Aeronautics, Science and Technology, ACSI College Iloilo, ABBA Institute of Technology, Iloilo Scholastic Academy, Hua Siong College of Iloilo, Sun Yat Sen High School, Cabalum Western College, St. Anne College of Iloilo, St. Augustine School of Nursing - Iloilo, Assumption Iloilo (run by the Congregation of the Religious of the Assumption), Ateneo de Iloilo – Santa Maria Catholic School (run by the Society of Jesus), Angelicum School Iloilo (run by the Order of Preachers), Philippine Science High School-Western Visayas, Colegio de las Hijas de Jesus (or simply Hijas de Jesus which is run by the Congregation of the Daughters of Jesus), San Jose Catholic School (which is run by the Order of St. Agustin), Colegio de San Jose (CSJ) and Colegio del Sagrado Corazon de Jesus (CSCJ) which are both run by the Congregation of the Daughters of Charity of Saint Vincent de Paul, and Asian College of Aeronautics. Colegio de San Jose is the oldest school for girls in Western Visayas which is now 141 years old. In June 2012, the city government opened the Iloilo City Community College at Molo, Iloilo City. These universities and colleges in Iloilo is a testament to the city being the center of education in Western Visayas. The Department of Education – Division of Iloilo City covers 88 private schools and 52 public schools.